@sportslogosnet @SamuelYLam the hats have been massively popular, with many of the vendors completely sold out. Anytime Major League Baseball goes overseas for meaningful games, there’s always a great opportunity to make money. Merchandise sales go through the roof because fans who may never get a chance to see these big league players will buy all kinds of souvenirs. What was odd about this trip overseas was that it affected the uniforms the players wore. The patches on the cap were a give and is standard, but the jerseys and pants also had to go through some changes as well . A new uniform set just for this series? The dollars are coming in. 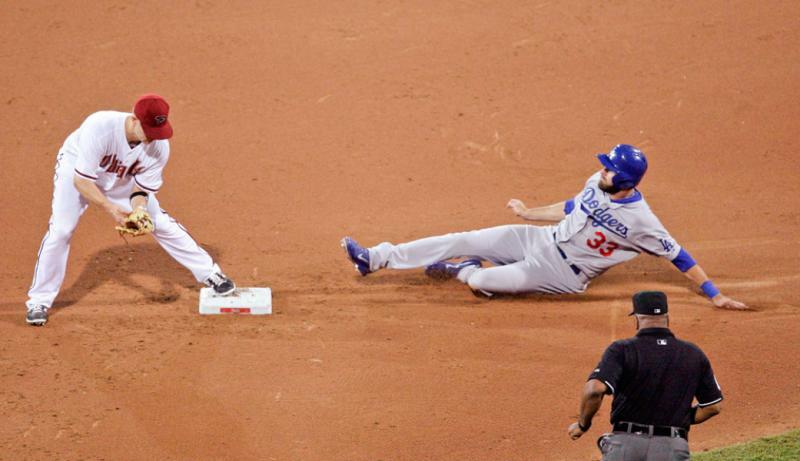 For the first game, the Dodgers essentially took their home whites and turned them into road grays. This is different from their normal road set that reads the city name on the jersey. The piping of the sleeves and pants were also removed to match the home set. This new jersey was set to be only worn for this series. So the money grab opportunity was there. 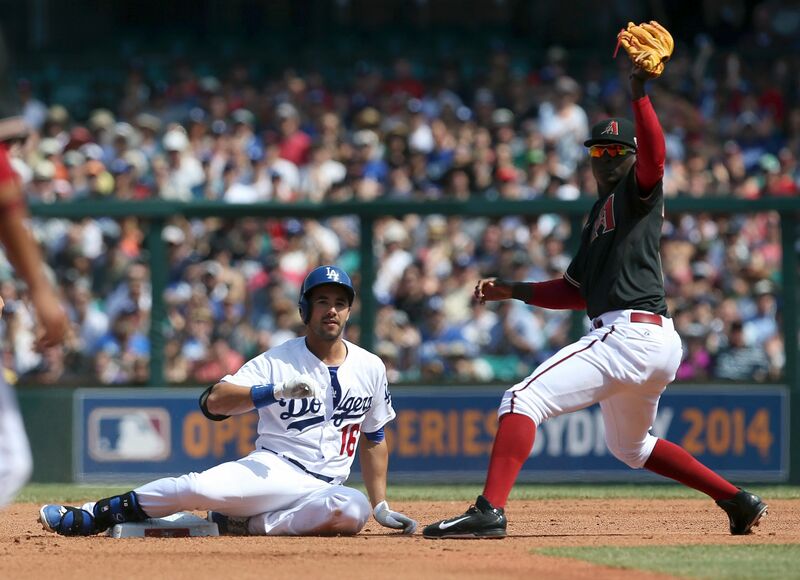 The Diamondbacks wore their standard home whites for the first game. The second game featured something different as well. Since the Diamondbacks are the home team, they wear their standard home whites for their games. However, back in Phoenix, their Saturday games are designated for their back jersey and cap combo. Even though it was Sunday in Sydney, the rest of America was watching it on Saturday. The team wore their Saturday set. And along with that, red belts and red socks that normally is only reserved for their other sets. Is this a new thing or did they just wash and re-use what they had from the last game? The Dodgers, for some strange reason, wore their home whites despite being the designated road team. This was the first time two teams wore white pants in quite some time. I can’t remember the last time I saw that. In other leagues around the world, white pants for both teams isn’t a rare occurrence. In fact, what you see is standard. One team wears their alternate jersey while the other team goes full white. So in this two-game set, the two teams combined to wear four different jerseys. That’s a perfect opportunity for exposure for merchandise sales. Add that to the caps and possibly the other jerseys they could sell, I think MLB made a good buck out of this series. Sure, this is a great opportunity to expand the game. But still, the agenda to sell merchandise is high priority for them. This entry was posted in Arizona Diamondbacks, Los Angeles Dodgers, Merchandise, MLB, New Sets, Uniforms & Design and tagged Money Grab, Opening Series. Bookmark the permalink.